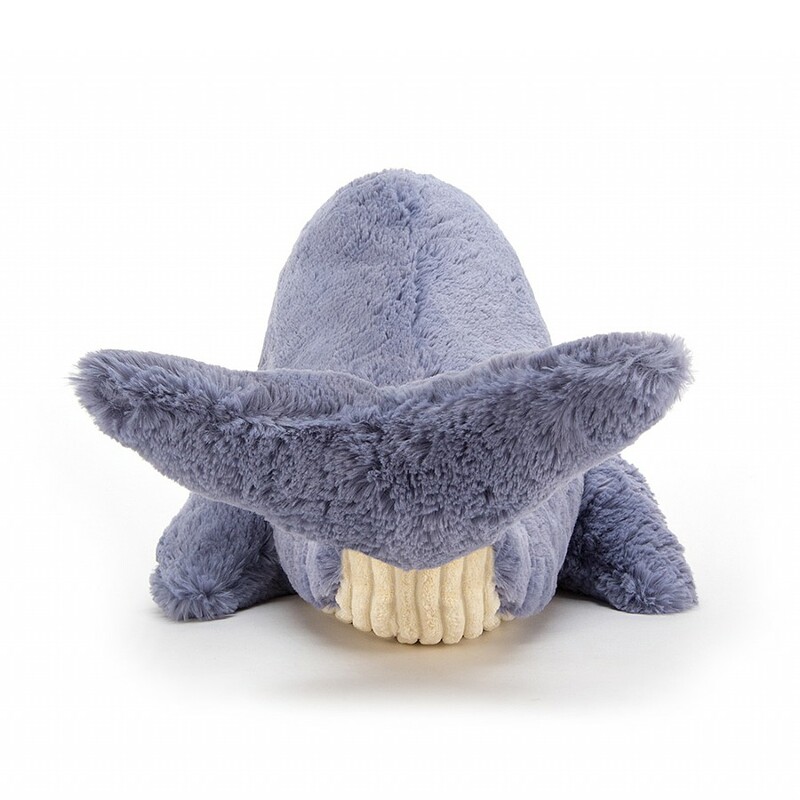 Welcome Wilbur a giant hearted Whale and a 45cm long, soft toy made by the much loved Jellycat. 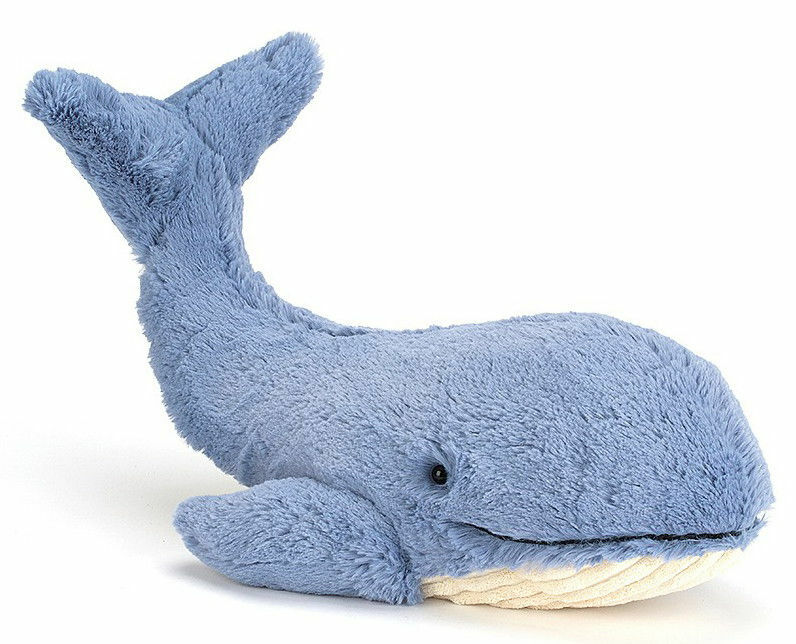 He is made using silky soft blue plush with a contrasting corduroy textured plush for his belly, with beans in his lower half for that lovely huggable, floppy feel. Surface washable. Made using all new materials, filled with polyester fibres and plastic pellets.